You know how I always say I believe you can find anything in Nigeria, you just have to know someone that knows someone. I still believe this, but the problem is you also have to be ready to pay whatever this ‘someone’ is charging, and most times it’s quite ridiculous. This is why I am always happy when I get news that a brand is coming to Nigeria, because this means we get to purchase these products for the same price we would overseas. 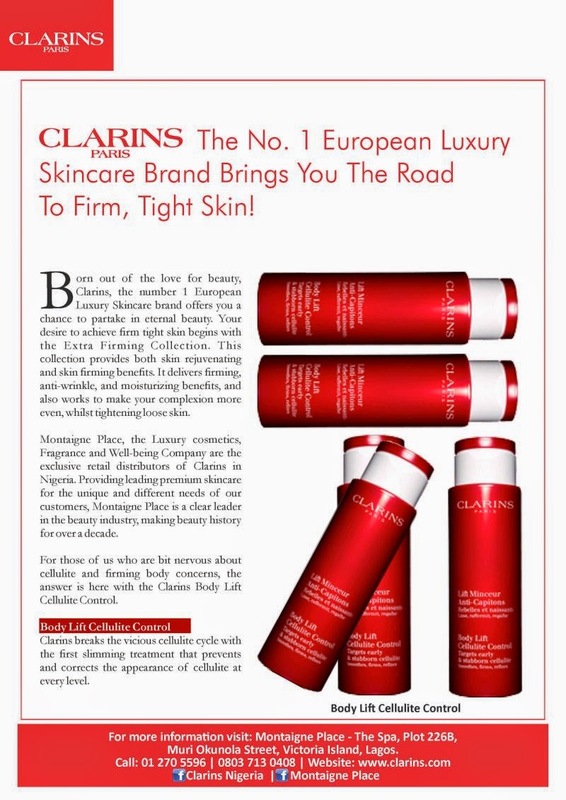 I’m sure we all know or have heard of Clarins. But one thing I want to point out is that Montaigne Place only carry skincare products from this brand, not makeup. I use the Clarins ‘Instant Smooth Perfecting Touch’ which is a face primer and I walked in looking to re-purchase it and was told, they only sell Clarins skincare products. So, take note. I recently got the Clinique ‘Take The Day Off’ cleansing balm from Montaigne Place and it cost me NGN6,460 and this costs £22 in the UK…. go do the math! Unbelievable right? This I shared all about in this post here. They carry both makeup and skincare from Elizabeth Arden. Makeup and skincare are not the only products sold at Montaigne Place, there’s perfume, but I’m more concerned with the beauty brands…. obviously! They’ve also got a spa! Four brands may not seem like a lot, but it’s better than nothing. I also like the fact that Montaigne Place are ‘intelligent’ regarding what brands they carry. They aren’t stocking any brand just to fill-out their shelves, they are bringing in brands that work and have a following! Address: Shop 16, Palms Shopping Centre, 1 Bis Way, Lekki Expressway, Victoria Island, Lagos. Address: Shop 13b & 14b, Delta Plaza, Balogun, Lagos International Tradefair Complex, Lagos- Badagry Expressway, Lagos. Address: Grand Towers Abuja Mall, Plot 232 Cadastal Zone B14, Dutse, Abuja. Ez there is an actual black up store at the Ikeja City…are they a retailer or distributor? Hiya! Yup, that's owned by Montaigne Place…. All Blackup stores/stands nationwide. Awesome! I learn so much from your blog regarding beauty and beauty supplies in Lagos. Good to know these brands are officially coming into Nigeria. Keep up the good work BIL. is their any outlet in asaba or onitsha?